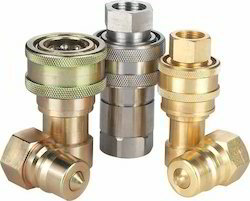 We are a leading Distributor / Channel Partner of temperature hydraulic hose, jack hydraulic hose, high temperature hydraulic hose, multipurpose hydraulic hose, hose fittings and hydraulic super tough cover from Chennai, India. 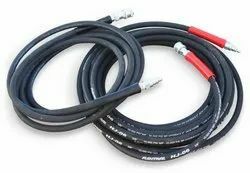 In order to provide maximum satisfaction to our clients, the offered range of Temperature Hydraulic Hose is manufactured by some of our most trusted vendors, as per the set industry norms. The utilization of high grade raw materials and modern machines, gives the product superior strength and a commendable performance. Petroleum base hydraulic fluids and lubricating oils. 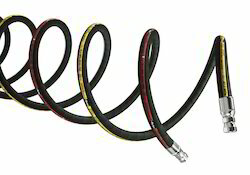 We are considered in the market to be amongst the leading providers of this impeccable range of Jack Hydraulic Hose. Manufacturing of this range done in accordance with the set industry norms and guidelines, by trusted vendors, its quality never collapse. In addition, the offered range is known to be marked at the most reasonable rate possible. 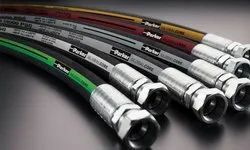 Offered in the market at the most reasonable rate possible, the range of High Temperature Hydraulic Hose has a high preference in the market. Manufacturing of this range is done as per the set industry norms and guidelines, by trusted vendors, its quality never diminishes. In addition, the offered range is marked at the most reasonable rate possible. 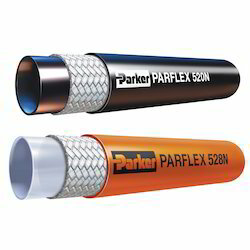 Manufactured in accordance with the set industry norms and guidelines, quality of this Multipurpose Hydraulic Hose never diminishes. The utilization of high grade raw materials and modern machines, by trusted vendors, gives the product a superior performance and impeccable service life. In addition, the offered range is marked at the most reasonable rate possible, making it highly asked for. 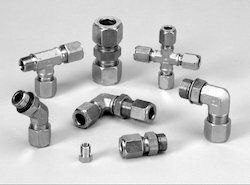 we are dealing of HOSE FITTINGS in pan india with best quality and best price in market. Offered to client at the most reasonable rate possible, demand for this Hydraulic Super Tough Cover is quite high. Manufactured following the industry set norms and guidelines, by vendors who are skilled and reliable, its quality never collapses. In addition, the offered range is known to be marked at the most reasonable rate possible, for maximum client satisfaction. 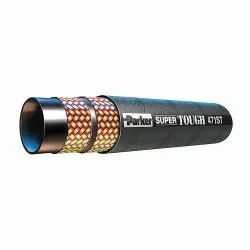 Parker Hoses are designed to match high demands in hydraulics or media transfer applications. They offer reliability, versatility and a high degree of customization and are ideal for production environments. 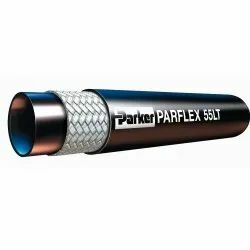 For working pressure up to 45 MPa. Supported by a state-of-the-art infrastructure facility, we have been able to supply, trader, wholesale, distribute and retail Hydraulic Hose. 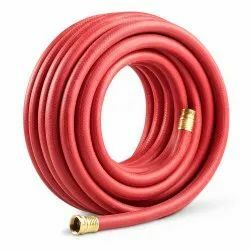 Used in hydraulic lifts and hydraulic machines, our offered hoses are sourced from authentic vendors of the industry. 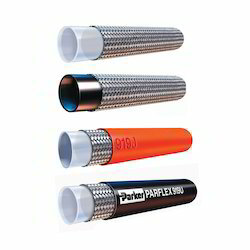 Available in various sizes and other specifications, these hoses are widely acclaimed in the market. 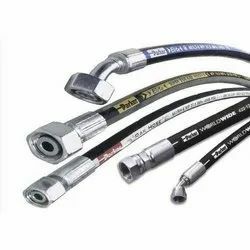 For reasons of quality maintenance, the offered range of Hydraulic Hose is manufactured by reliable vendors, as per the set industry norms and guidelines. The utilization of high grade raw materials and modern machines, gives the product a superior performance and a longer functional life. In addition, it is marked at the most reasonable rate possible. 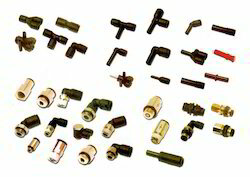 Looking for Hydraulic Fittings And Hoses ?